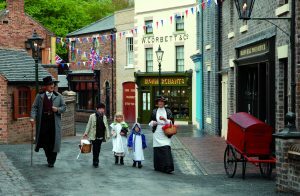 We are pleased to present our 2019 tour to Shropshire and the Potteries. Perhaps not so well known as some other parts of the UK, Shropshire’s beautiful countryside also holds many highlights of our artistic, historical and industrial heritage. 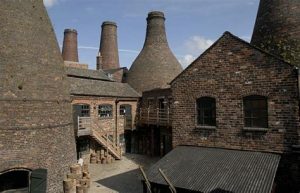 Based near Shrewsbury and travelling by executive coach, we will also see some neighbouring highlights, including a day exploring the Potteries. The accompanying leaflet from Success Tours gives more details. 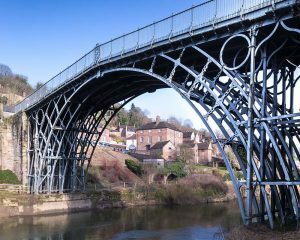 A full day guided visit to Ironbridge, birthplace of the Industrial revolution. 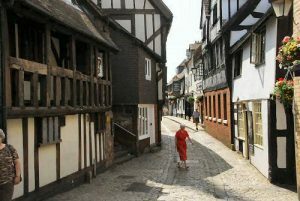 A guided tour of historic Shrewsbury, including the castle and Abbey. 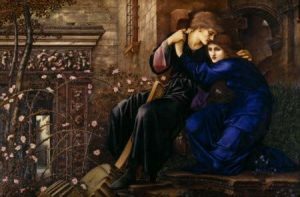 A guided tour of delightful Wightwick Manor with its superb Arts and Crafts, Pre-Raphaelite and De Morgan collections. The programme is a full one and there will be quite a bit of walking. But you always have the option of leaving out of any tour if you wish. 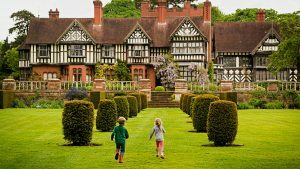 Our 4* hotel is the well-reviewed Mercure Albrighton Hall, about 4 miles outside Shrewsbury. We will have dinner, bed and breakfast at the hotel. Rooms are doubles or twins. Those who want a single room, up to a maximum of 15, will be given a double or twin for single use. There’s an indoor pool, gym and spa facilities. £562 pp sharing. Single supplement £99. (Note that this is based on a minimum of 25 people. If there are 30 or more, the price will reduce to £527.) You make payments to Success Tours, who will operate the tour for us. They have many years’ experience and have been recommended by other Arts Societies. As this is a UK trip, travel insurance is not compulsory. But if you wish to insure your trip, you can either arrange your own or take out the one offered by Success Tours (see booking form). You can download a booking form or collect one from the Visits Desk at a meeting. Please then fill in the booking form and send it to Peter Crowfoot at the address on the front of the leaflet or hand it in at the Visits Desk. 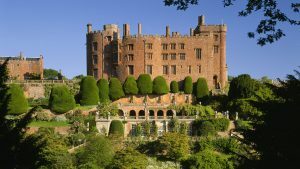 To pay your deposit of £50 per person, either include , with your booking form, a cheque for £50 payable to Success Tours, or call Peter Crowfoot first if you want to pay by debit card, credit card or bank transfer. This is just so that we can confirm that there is space on the tour. If you want to take the company’s travel insurance, you’ll also need to include the premium of £25 per person. Do ring Peter on 01428 608942 if you have any queries.